Established in Fall 2017, the Department of Film, Television, and Media’s speaker series creates a space for film and media scholars and artists/practitioners to engage in dialogues about past and contemporary topics that influence media industries, audiences, and society at large. 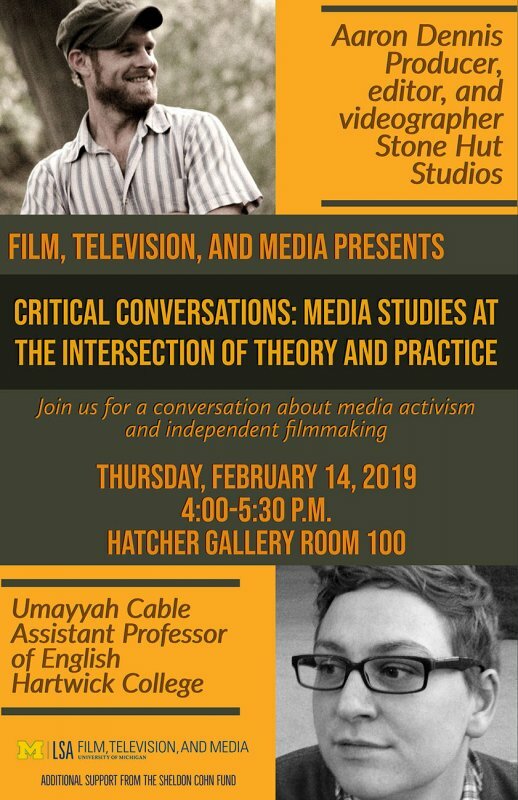 Umayyah Cable, Assistant Professor of English at Hartwick College in Oneonta, New York and Aaron Dennis, producer, editor, videographer, and founder of Stone Hut Studios will be our presenters. Cable and Dennis will explore how educational filmstrip and documentary filmmaking become sites of political and social activism that disrupt mainstream media production practices, content, and forms of distribution.